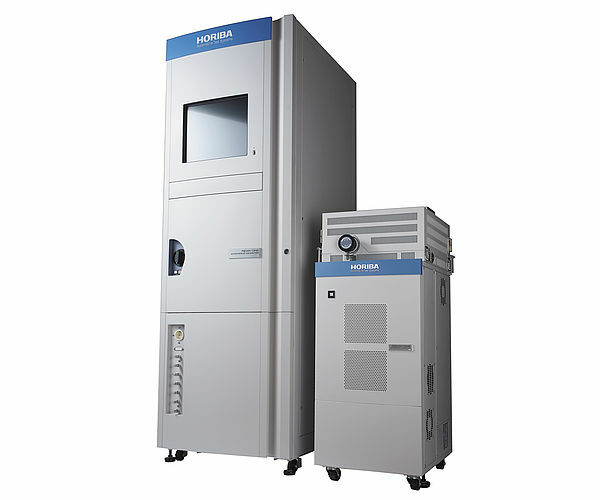 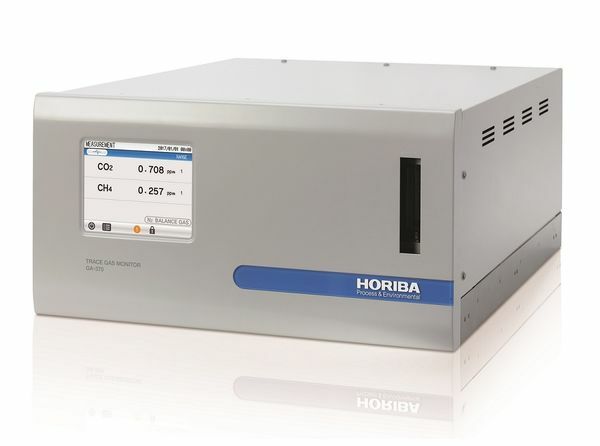 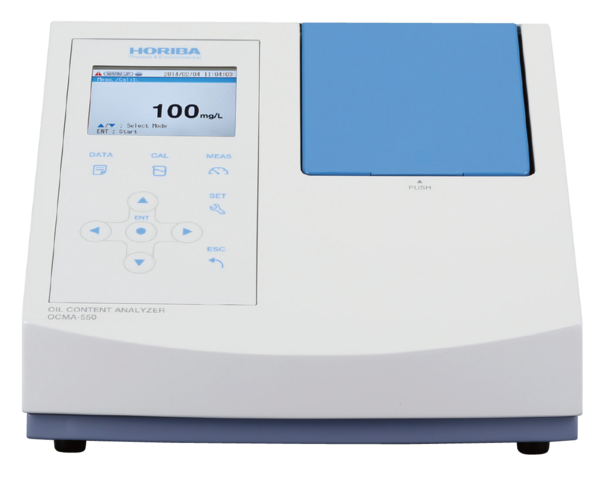 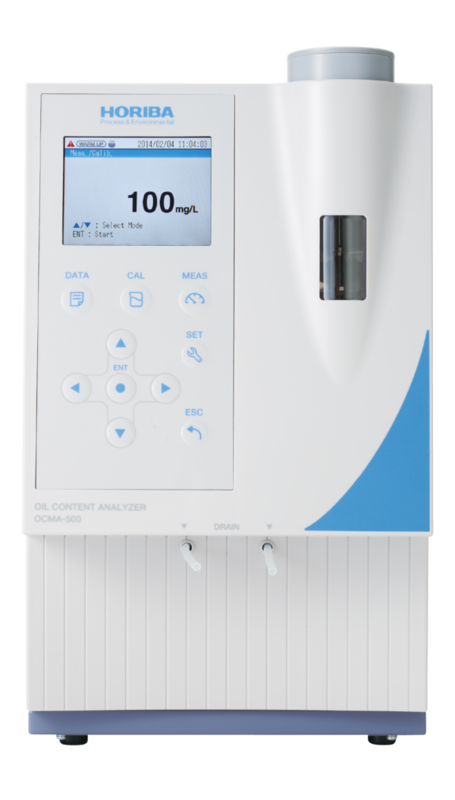 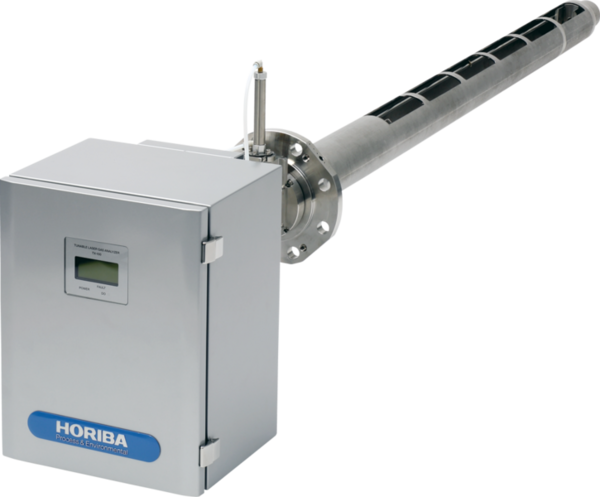 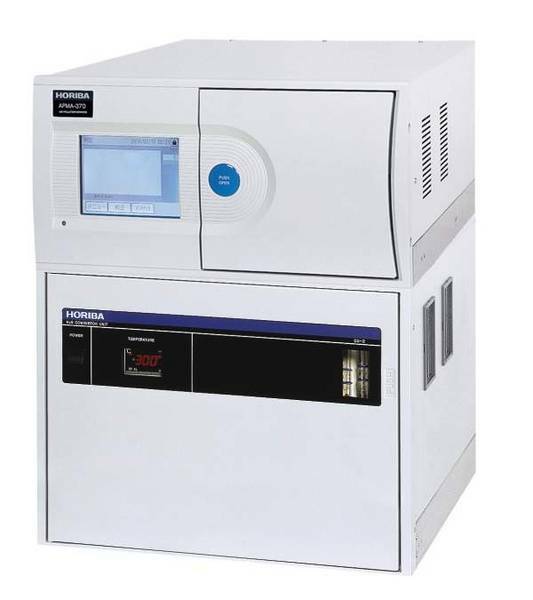 Experience HORIBA, the Global Single Source Solutions Provider with over 50 years of technological advancements and unparalleled reliability, dependability and operability.The GI-700 stack gas analyzer is designed to continuously measure the concentrations of nitrogen oxides (NOx), sulfur dioxide (SO2), carbon monoxide (CO), carbon dioxide (CO2), oxygen (O2), and ammonia (NH3) in stack flue gas streams. 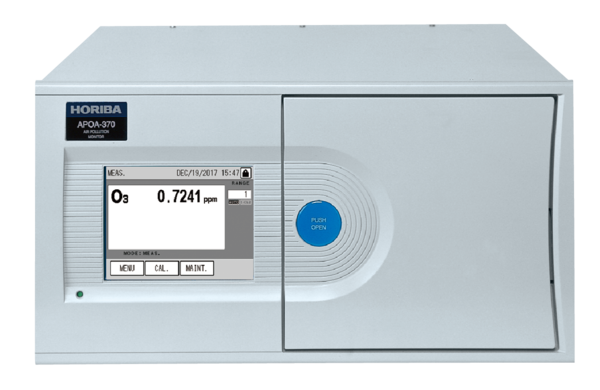 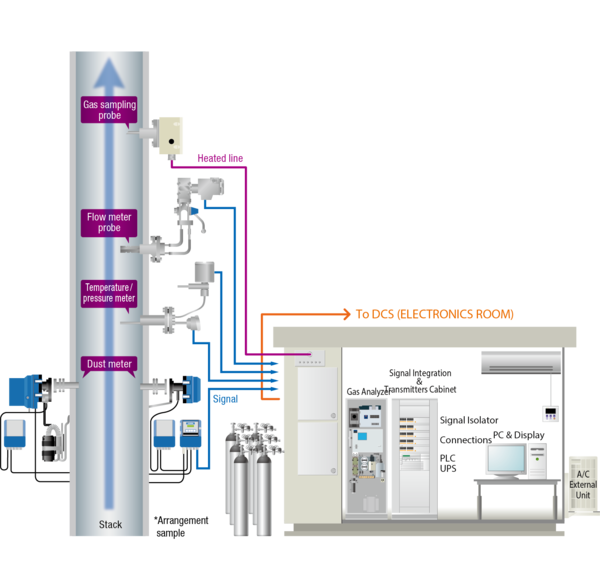 Up to 6 gases can be measured using a single analyzer with multiple detectors. 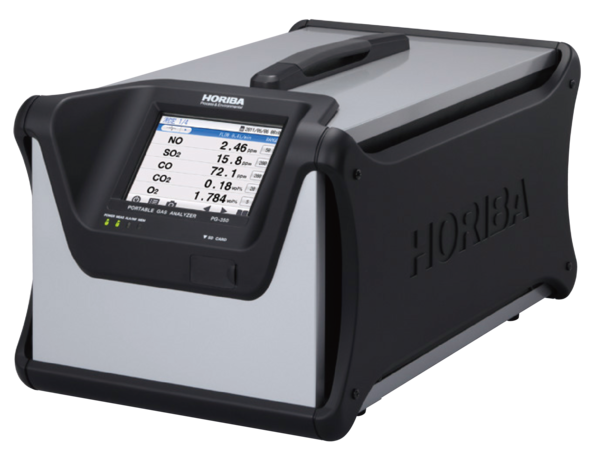 Works with a simple sampling unit having less tubing, fewer power cables. 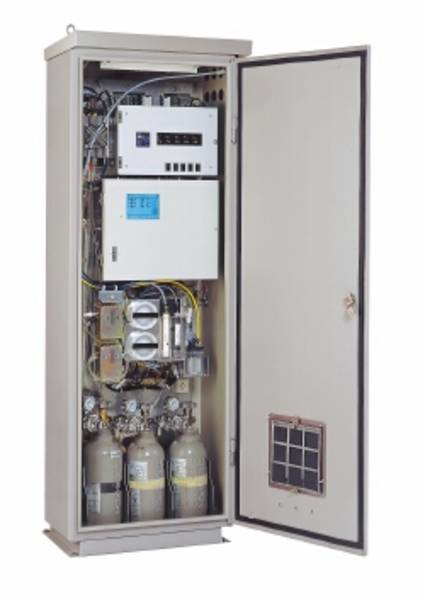 Simplified wiring translates into less time required for installation. 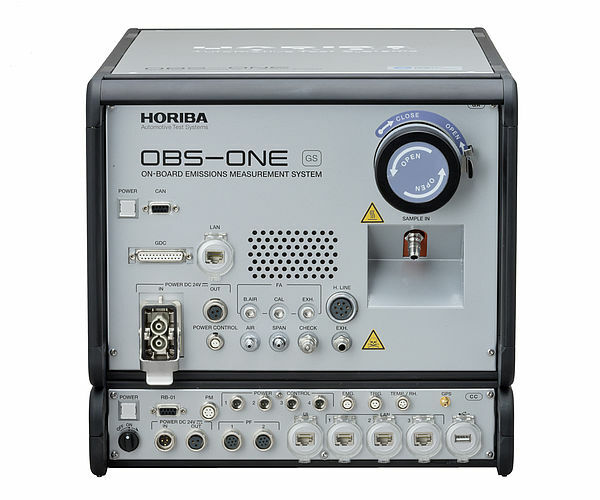 Minimum function for the operation. 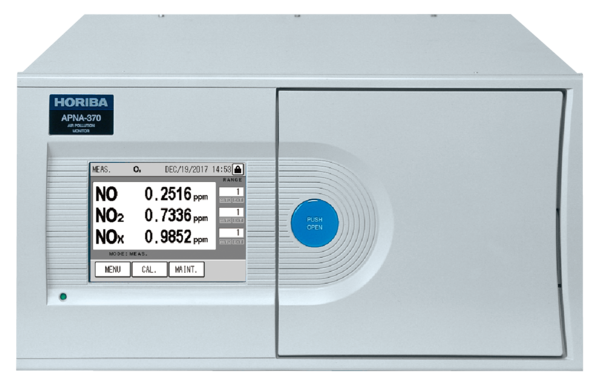 Any additional functions can be added from controlling PLC. 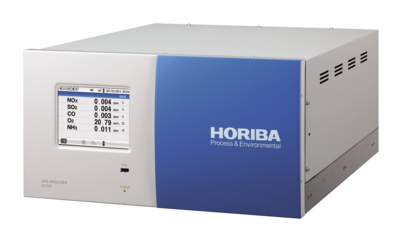 5 ppm High-Precision measurement (NOx, SO2 and CO) is available. 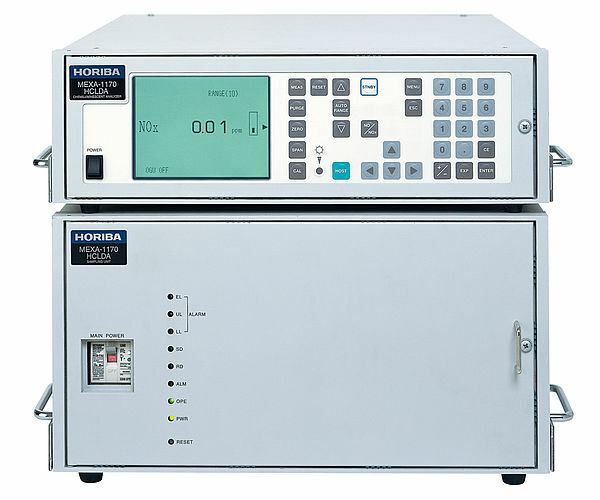 - An external converter provides for separate measurements of NO and NO2. 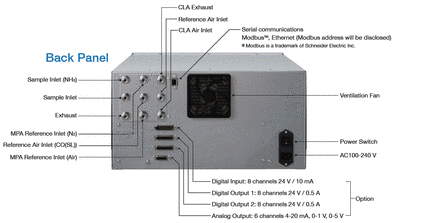 - All component modules can be easily installed with in a single 19 inch case. 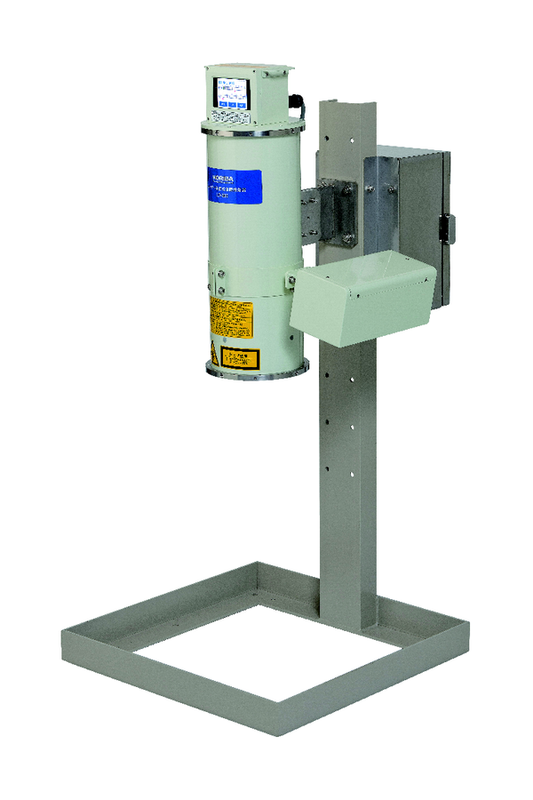 The compact design saves space, facilitates maintenance and requires less wiring and tubing during installation. 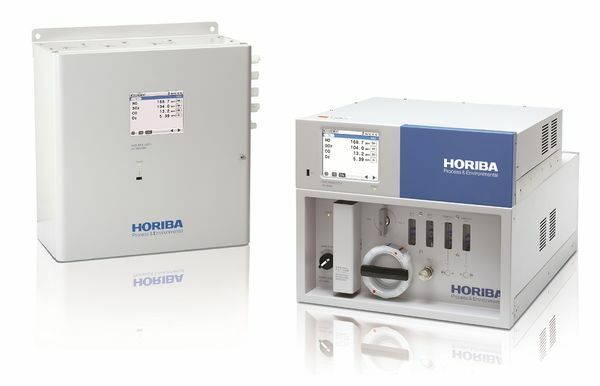 - Power consumption is reduced by approximately 50% as compared to systems using individual analyzers (NH3 analyzer). 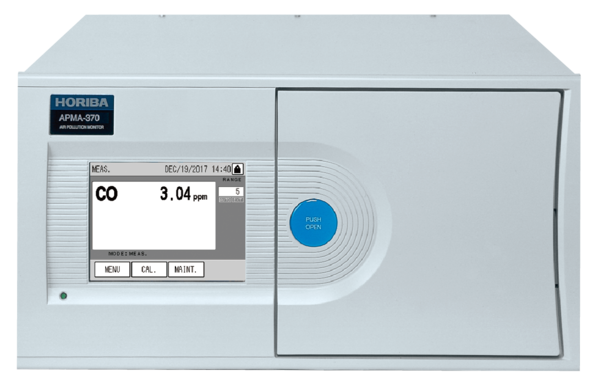 Atmospheric pressure ± 4 in. 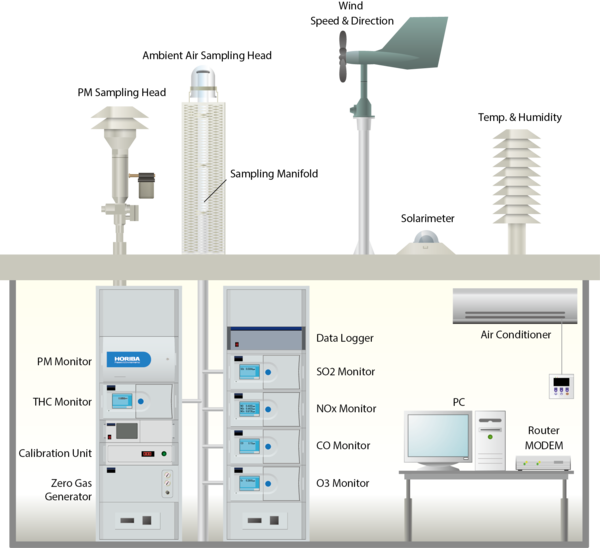 W.C.
*Modbus is a trademark of Schneider Electric Inc.
*1: Depends on measurement range specifications. 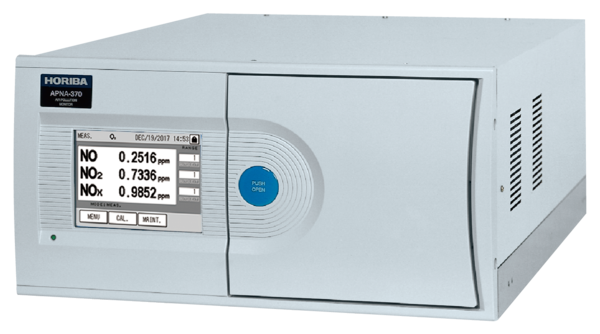 *2: A range ratio of 1: 40 is also possible for special applications. 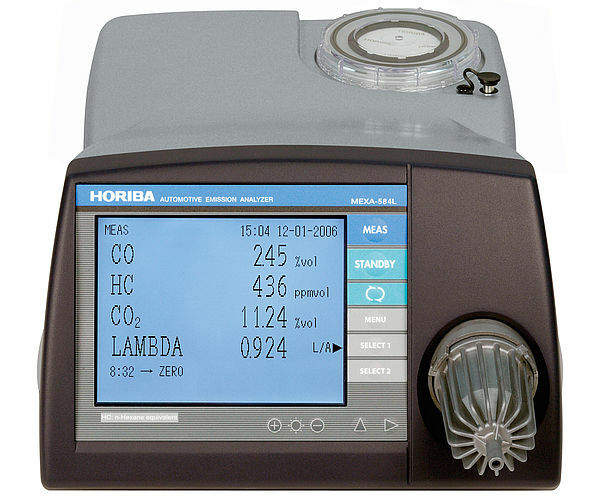 *3: A range ratio of CLA NH3 and CLA NOx should be 1: 5 or less.